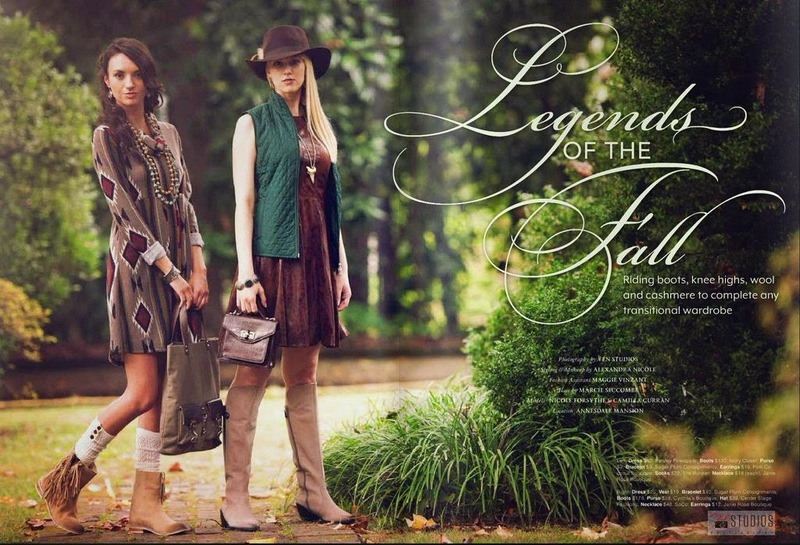 Riding boots, knee highs, wool, and cashmere are all in this Fall. 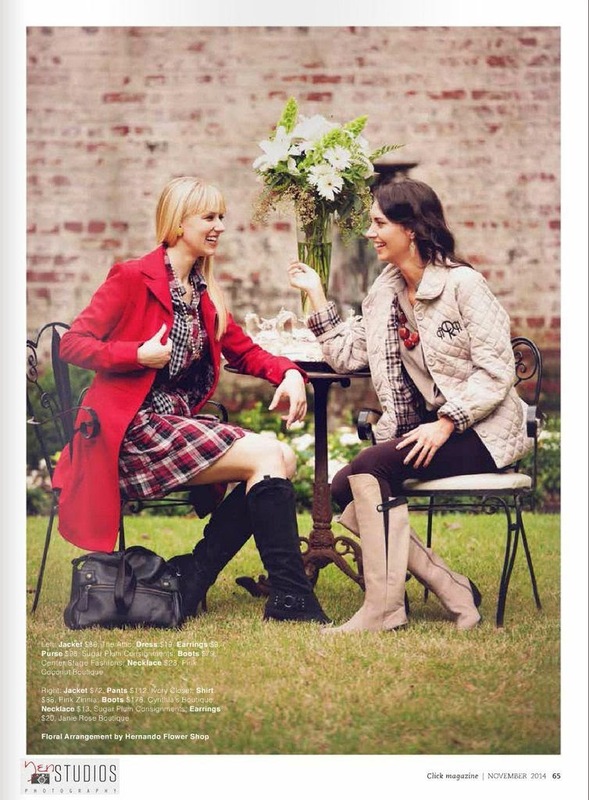 Check out Click Magazine’s November shoot styled by Yours Truly! Layering wool knits makes for a cozy trend this Fall season. Bold, Fall hued tribal prints and leatherette detailed pieces are Fall wardrobe must-haves. Autumn oranges and pumpkin tones look fabulous with camel colored leather. Riding boots look fabulous with trousers, leggings, and dresses.Accessorize your wardrobes with monogrammed puff jackets, or a festive colored pea-coat. Scrunched knee socks look great with any type of boot. Don’t be afraid to rock a hat this Fall. Felt blend hats are my favorite. Vests are back. Add a personalized touch with a monogram.